February 16th & 17th is Red Wine & Chocolate weekend in Vintner’s Village! 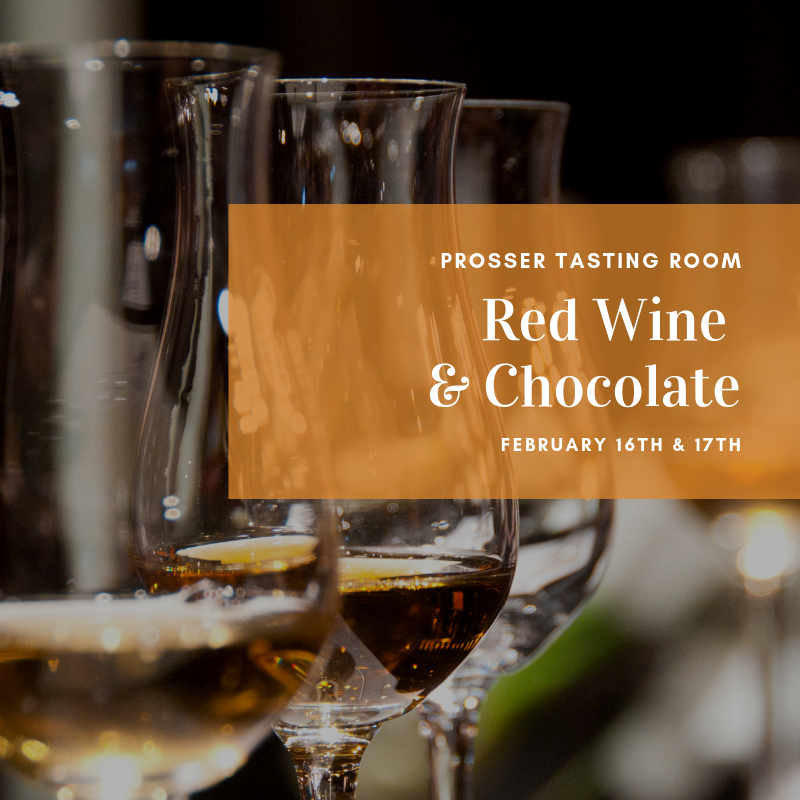 Stop by the Prosser tasting room during this special event weekend to try our Syrah & Chocolate pairing of 3 Syrahs and 3 chocolates for $16, or $14 for club members. Or try our $12 tasting* which includes a Milbrandt Logo Wine Glass and a sample of 6 wines. *this fee is waived for club members. Saturday, February 16th local musician Gabe Knutzen will be playing music from 2pm – 5pm.